I have almost totally ignored my blog for exactly one month as of Christmas day (so for more like 6 weeks as of the time this is posted)! My baby was born in November and I am so afraid to miss a moment of him that I just can’t bring myself to work much at all. So this will be brief, because my blogging time is brief. But oh my, this is an income report I am excited about. NOT because I made a ton of money or had wicked awesome page views. (Ok well, for me this is actually a ton of money…I did have over 40k fewer page views than I did in November however. But guys. This past month has been the month that defined “passive income” for me. I saw a little bit of that in the last week of November, but watching a whole month of passive income roll in has been… amazing. If this is the first time you’re here (thanks for stopping by!) 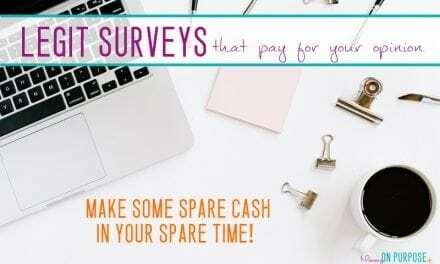 you should know that I started this blog when I found out I was pregnant (March 2016) to try and make an income so I could stay at home with the baby. For 8 months I spent every waking minute that I wasn’t at work learning to blog and giving it my all… without any real concrete evidence that it could pay off. By the grace of God, whoa, has it ever paid off. UPDATE: I have decided that I will no longer share new income reports on the blog. Because I understand the value of income reports as a learning tool, I am still sending these reports out to my blogging email list. Get on the email list to receive income reports here. 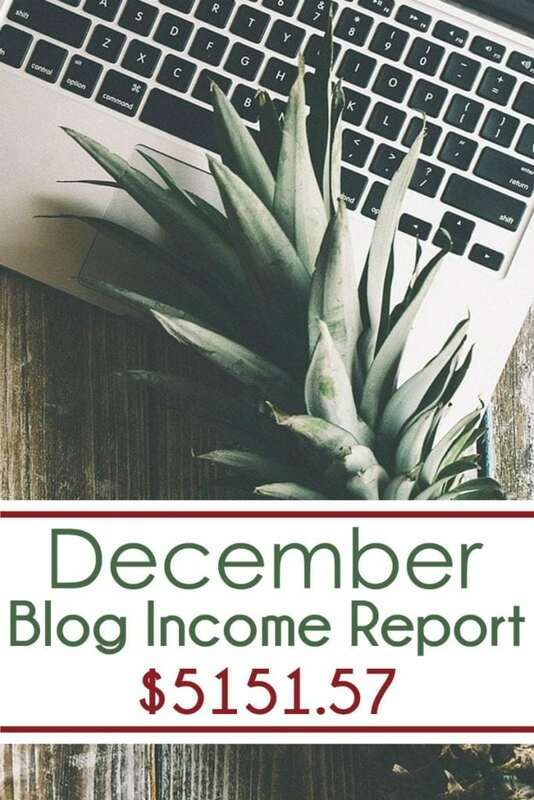 Blog income reports are generally only of interest to people who are either thinking about blogging or already blogging (this makes sense, yes?). When I started blogging I had a big question: can you make money blogging about topics other than “how to blog”? (It seems like those are the people making money… doesn’t it?) And I know other people wonder this too, I’ve seen this question asked over and over again in blogging groups that I belong to. (I am reporting in Canadian dollars at the exchange rate for today of 1.3442 USD to 1 CND. Some of the money comes to me in CND and some comes in USD, but it all ends up as CND dollars in my account.) Note that this does not include expenses or taxes. 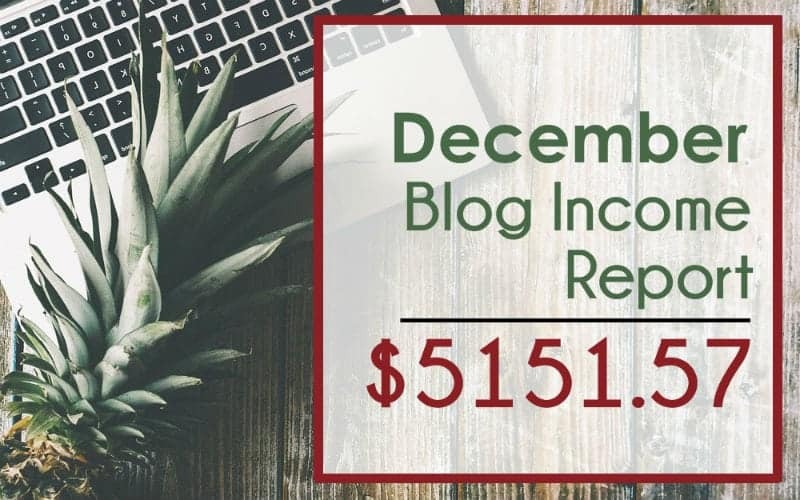 Two things to note here – First of all, the blogging related income is drastically skewed this month… $752.94 of that money was made from promoting a product that is not always available for promotion and I won’t be earning that money consistently. It was a one time deal. So really, I generally make far less than what is reflected here. 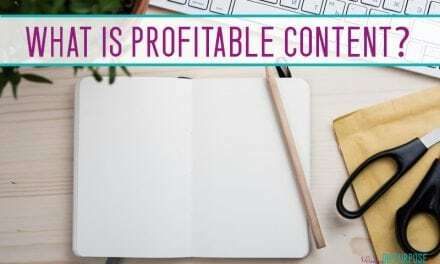 Secondly, yes, ad income comes from every single page view that I have over the course of the month, which means SOME of the ad income is generated on blogging about blogging posts. The amount, however, is almost negligible. Because I get very few page views on those blogging posts. This screenshot shows my top earning posts (as far as ads are concerned). Note that not one of them is related to blogging! Note that to earn income like this with ADS you need wicked awesome pageviews. No way around that. 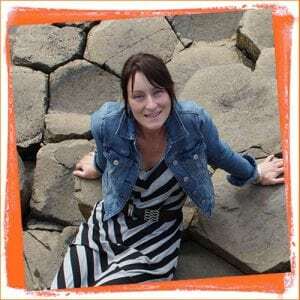 Read about my journey to amazing page views here. Yep. The evidence DOES seem to suggest that if you wanna be blogging, you should be blogging. Just do it. You have very little to lose – about 4$ per month, if it goes absolutely awful. Here is a free (and easy to follow) tutorial on how to start a blog. 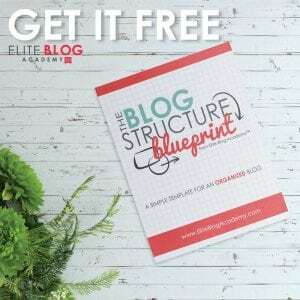 When you can afford it, I recommend joining Elite Blog Academy – If I had to pick ONE thing and say, “buy this thing to have a successful money making blog”, this would be it. I didn’t have a blog when I started this course, and now I have a money making blog. BECAUSE of this course. Enrollment only opens once per year but you can get on the waiting list to be notified when it DOES open here. 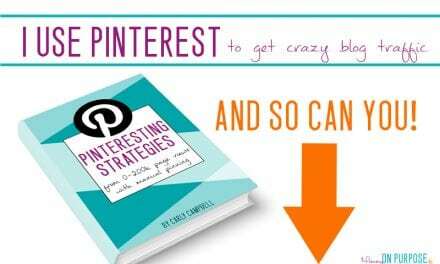 Check out my blogging resources page for more of my favorite books and courses that helped me make this blog a success in it’s first year. Looking forward to seeing what the future of the blog brings, and wishing you a wonderful 2017! 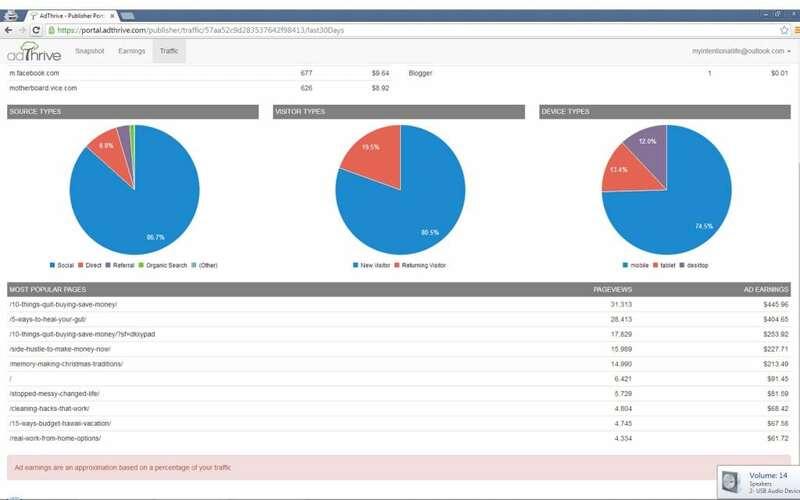 Carly – I LOVE reading your income reports!! I’m always jealous of your pageviews though, hehe. Keep up the amazing work! HI Penelope!! Thanks lady! MY pageviews are alllll pinterest and I know they could go away at any time… lol. MUST. work on the organic traffic! Love reading all your posts. So happy for you and your husband! Looking forward to starting EBA at the end of next month. Wow this is truly motivating! I really need to reevaluate my social media strategy and incorporate a stronger brand presence with Pinterest. Can’t wait to reach the 100,000 visitor mark so I can partner up with AdThrive. Adthrive is definitely amazing! Goodluck!! I am thinking to put ads on my site but wondering if it would interfere with affiliate agreements. Also wondering which ad company to pick. Do you have a comparison article about ad companies, or have you tried more than 1? 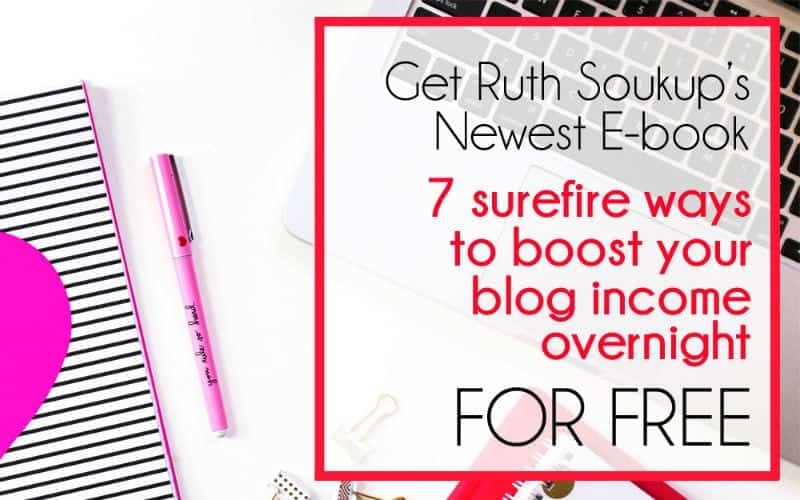 I have only looked into AdSense, and then I thought I read an affiliate agreement that said I couldn’t have pop-up ads – but I could have read it wrong.